My research is centered on the design, synthesis and applications of nanoparticles using the tools of molecular and materials chemistry. 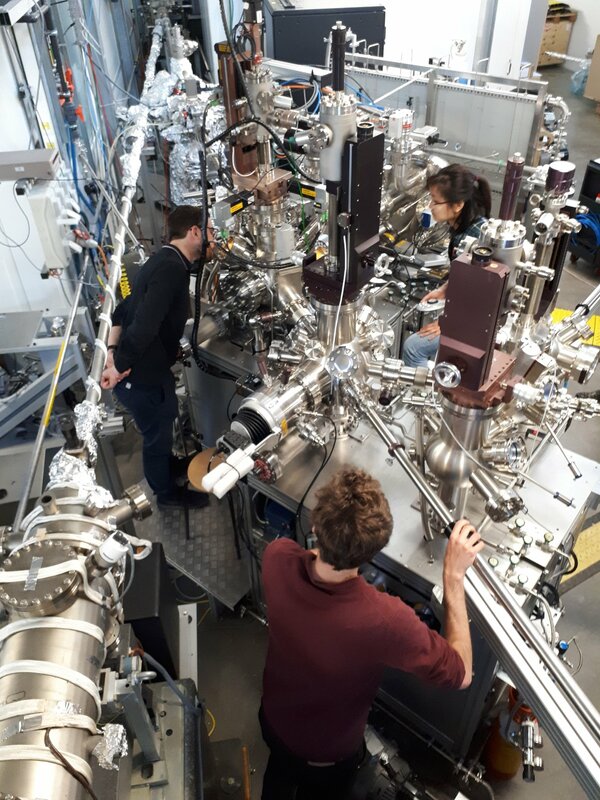 This week, we are studying the reactivity of metal-containing nanoparticles using near-ambient-pressure XPS at the TEMPO beamline in SOLEIL. We are adding gaz onto the nanoparticles while heating them and analyzing their surface. The picture shows Kim, Antoine and Rémi transfering the sample in the analysis chamber... a delicate operation! Big cheers to Jean-Jacques Gallet and Fabrice Bournel for helping us with the experiments. With: Kim, Rémi, Antoine, Sophie. 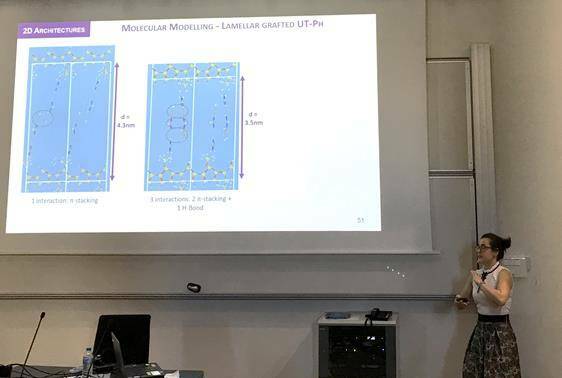 Nadège Rey defended today her PhD about silicon-based linkers for the contruction of 2D and 3D materials. Her project was part of an international collaboration with M. Wong-Chi-Man team in ICGM, K. Kuroda team in Waseda University and our team in Paris. Big congrats to Nadège for a great work! Serendipity was key for the team entering in the field of silane activation! 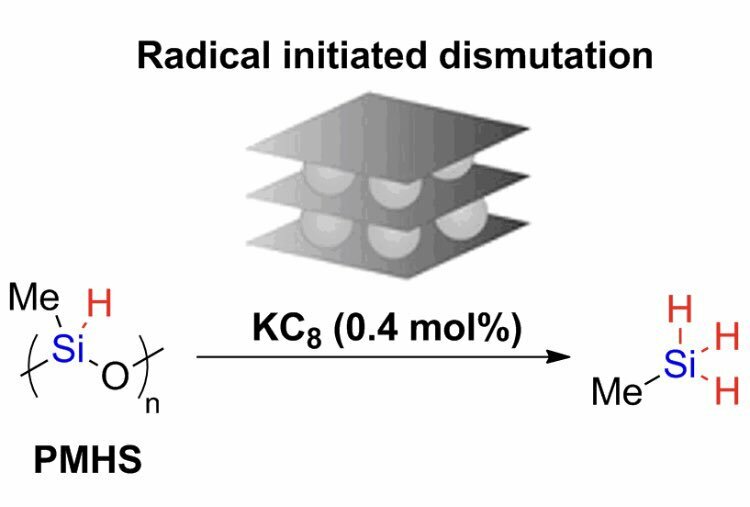 We found that KC8 acts as a catalyst for the dismutation of PMHS. This article is published as a part of ChemCatChem special issue about #WomenInCatalysis and was highlighted as VIP paper on March 8th. 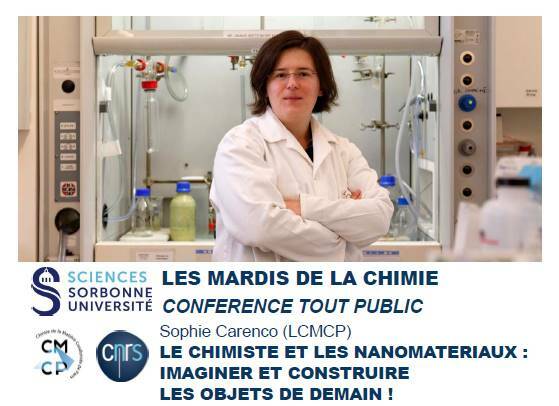 Feb. 26, 2019: Conference for "Les Mardis de la Chimie"
This afternoon, I will be giving a conference for the general public at Sorbonne Université. Thanks to the university and the UFR for making this event possible! Summary of the conference here. 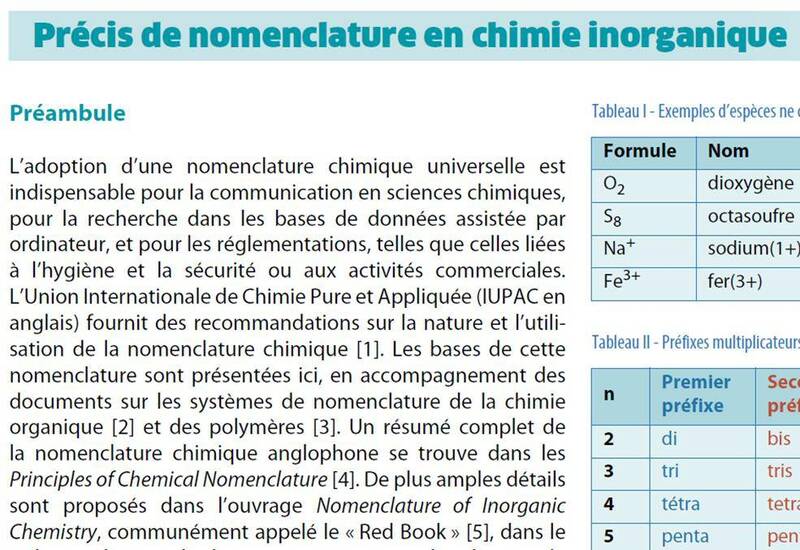 After more than one year of work, we published a French translation of the IUPAC "Brief Guide" for inorganic chemistry nomenclature. With: Jérôme, Simon, Xavier, Elise, Nadège, Lionel, Sophie. 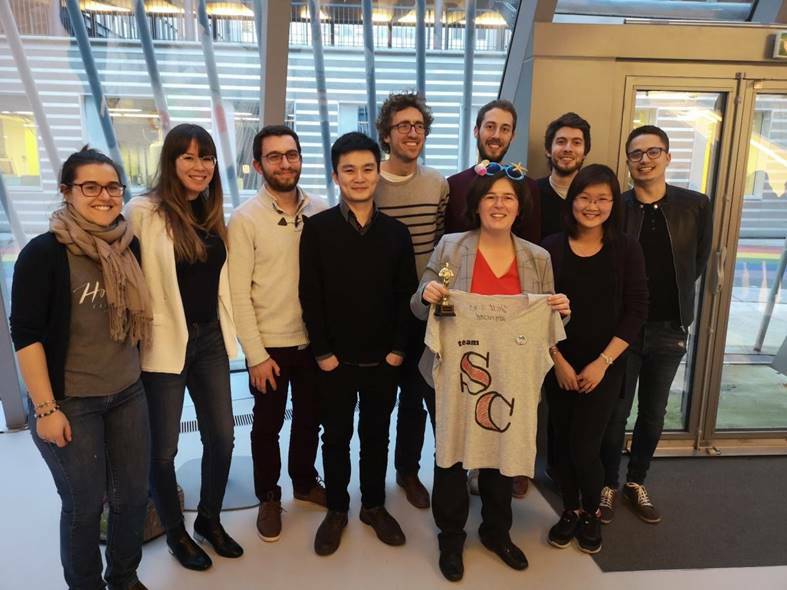 Today, I defended the Habilitation (HDR) at Sorbonne University, in front of an international jury, on the topic of "Metal-containing nanoparticles: design and reactivity". Great discussions and greet feedback from the audience! I am grateful to many colleagues especially in the Nano team, and to the amazing younger colleagues I have or had the chance to be an advisor for. From left to right: Nadège, Camille, Rémi, Minh, Antoine, Florian, Xavier, Kim, Clément. Second position opening is related to ERC project (funds already available). The topic is "Reactivity of Tailored Metal-Containing Nanoparticles for the Transformation of Abundant Molecules under Soft Reaction Conditions". Application by April 5th, CV and Cover letter. Description here. Got a great colloidal synthesis for cute nanoplates, but annoyed by the d*mn ligands that stick around? Just burn them all! under proper conditions of course. Here, we unravel the decomposition path of oleates around metal oxysulfide nanoparticles during inert and oxidizing thermal treatment. Read the paper. 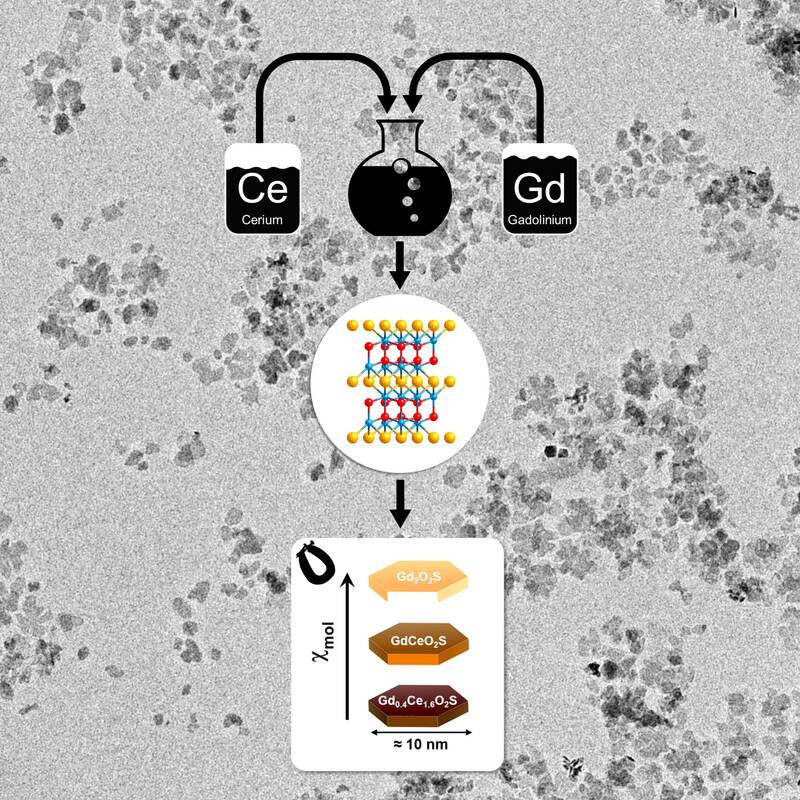 In this article, we decipher the magnetic properties of (Gd,Ce)2O2S nanoplates prepared by colloidal solution. We show they are directly tuned by the Gd:Ce ratio in the solid solution. Another success for our Labex Matisse project, in collaboration with our colleagues at IMPMC! Read the paper | EurJIC Cover profile. Functionalized copper nanoparticles are widely used as catalysts. In this study we investigate hydride-assisted reduction reactions with special focus on the structural evolution of copper nanoparticles in the presence of phosphine and nitrogen-based ligands. Ultrasmall nano-objects are formed as key intermediates to produce catalytically active species in the hydrosilylation of benzaldehyde. 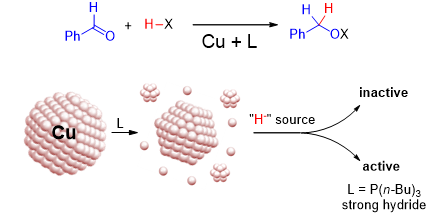 Moreover, we found that the strength of the hydride donor is essential for the formation of the active catalysts. Read the paper. Microscopy and Spectroscopy make the pair! 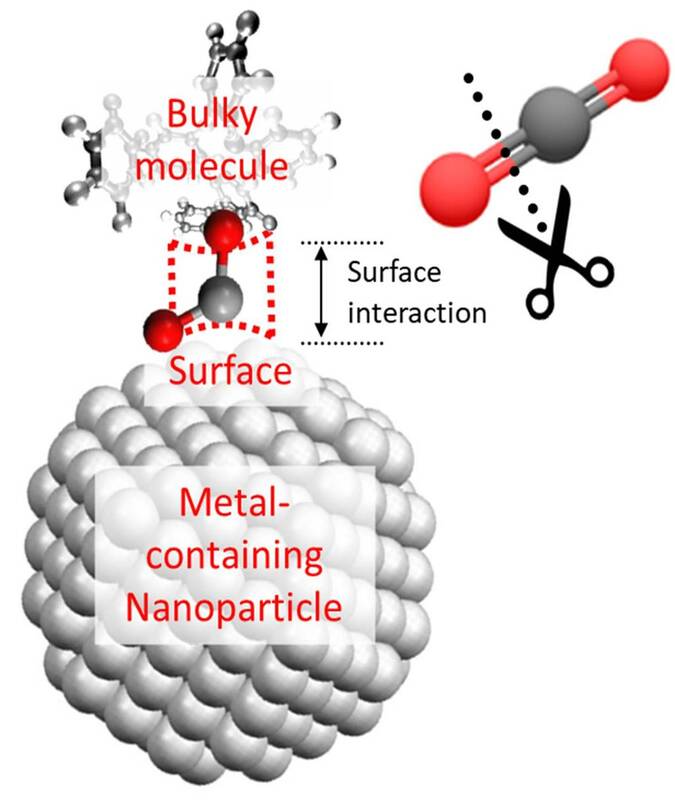 In collaboration with Cecile S. Bonifacio and Judith C. Yang from Pittsburg University, we studied nickel-cobalt nanoparticles exposed to reactive gases. 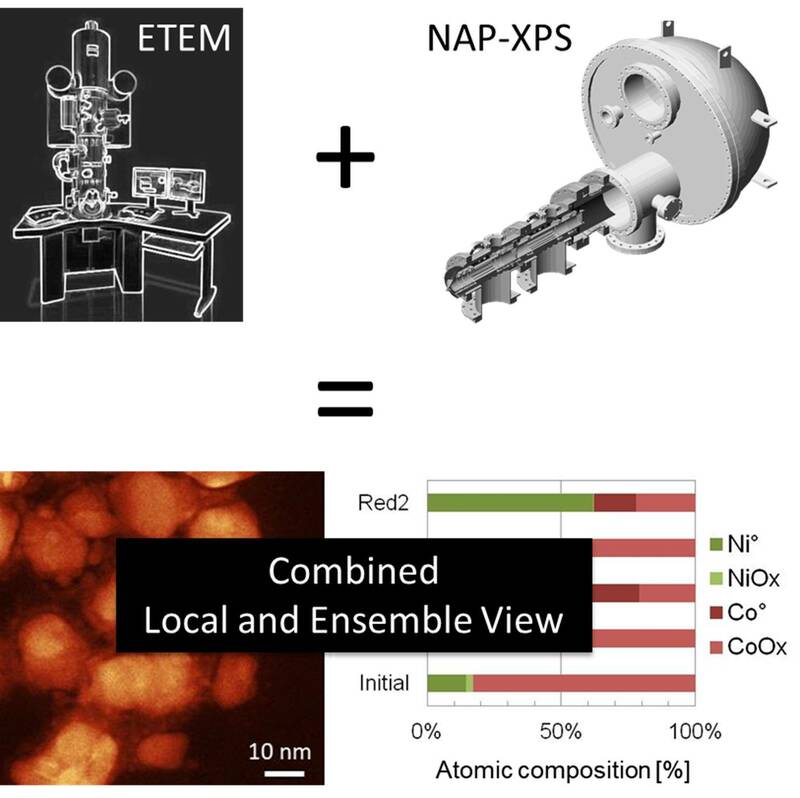 Combination of an ensemble technique (NAP-XPS) and a local one (environmental TEM) was pivotal for describing the nanoparticles transformations. Acknowledgements to CNRS and LCMCP for hosting this page. Personal webpage maintained on my own. Any report of bug or dead link will be rewarded by a coffee!